T4A.org’s mission is to create a safe space for private and public sector leaders to serve their country through dialog, two-way exchange of ideas, and the creation of public-private partnerships that benefit all Americans. We achieve our mission through TechTables, where we convene our Innovators together with a “Convening Guest” from the public sector, who brings a particular challenge to brainstorm. Each TechTable ends with a discussion of potential areas of continued partnership and collaboration between our Innovators and the Convening Guest; we believe that as we develop world-class public-private partnerships, we will help spur creative and collaborative solutions that benefit all Americans. Since our founding in 2013, we have hosted nearly 100 TechTables with a distinguished bipartisan group of Convening Guests, including Dr. Madeleine Albright, Senator Olympia Snowe, General Stanley McChrystal, Univ. of Calif. President Janet Napolitano, Grover Norquist, Chairman Bob Goodlatte (House Judiciary Cmte. ), Vice President Joe Biden, Commerce Secretary Penny Pritzker, and Labor Secretary Tom Perez. And we have ignited world-class public/private partnerships through this model. 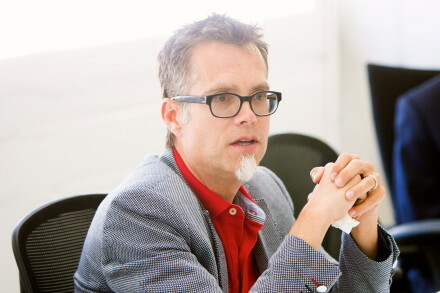 Jim is the Co-Founder & President of T4A.org, and currently serves as Salesforce.com’s SVP of Government Affairs. 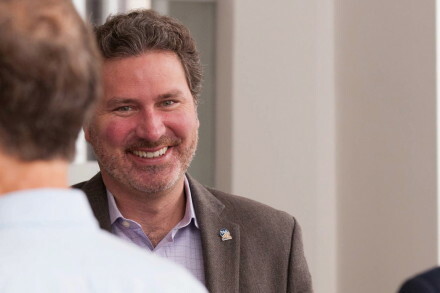 Jim founded and led Tech4Obama over the past election cycle, working very closely with Tech community, organizing and leveraging the broad support of the community around the President’s reelection. Prior to the campaign, Jim worked as a finance consultant, fundraising throughout California and the Northwest for candidates, non-profits, and trade associations. Jim lives in San Francisco with his wife Cammy, and two-year-old son, James, Jr.
Read our interview with Jim here. Rusty is a co-founder of T4A.org. He is a prolific startup advisor and investor, and serves on a number of corporate and philanthropic boards (including ours!). He was CEO of SNOCAP through the sale of the company to imeem, Inc. in 2008. He also served as EVP, HR at Electronic Arts (EA); during his tenure, EA was named one of the “100 Top Places to Work For” by Fortune magazine. Rusty and his wife Patti are dedicated patrons of the arts; Rusty is President of the GRAMMY Foundation, and the Patti and Rusty Rueff School of Visual and Performing Arts at Purdue University is named for them. Read our interview with Rusty here.